Here are 3 programmers that can support VW MQB system programming:OBDSTAR X300 DP PAD,OBDSTAR X300M and Xhorse VVDI2. OBDSTAR X300 DP PAD X300 DP PAD not only support VW MQB programming,but also work on BMW FEM/BDC system programming.OBDSTAR X300 DP is the first tablet of OBDSTAR, which has reached a higher level in key programming and diagnosis. 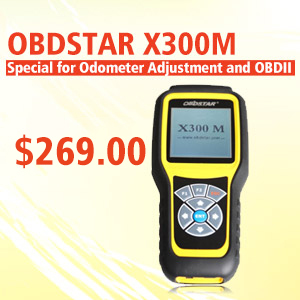 All OBDSTAR X300 PRO3 feedback on key programming, odometer adjustment, EEPROM and PIC. Just enter “Ctrl +F” to search whether the car model you plan to test is workable (BTW, more feedbacks will be added) Post contents: Part 1: OBDSTAR X300 PRO3 feedback on key programming Part 2: OBDSTAR X300 PRO3 feedback on Odometer adjustment Part 3: OBDSTAR continue reading..
OBDSTAR X300M Odometer correction Tool is tested working to reset odometer on many Mercedes Benz models via OBD. It is a 100% truth, it’s already tested by OBDSTAR qualified engineers, no lies. OBDSTAR X300 DP tablet Key Programmer not only play with programming keys but also some special functions like program ECU , read Pin code, adjust Mileage etc. Really a higher level diagnostic tool for workshop or dealer. Here is step by step procedure of changing mileage for Cadillac ATSL 2016. Device: OBDSTAR X300DP PAD Tablet Key Progra continue reading..